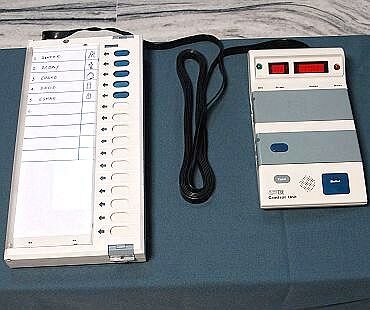 The arrest of Hari K Prasad, who recently proved that Electronic Voting Machines can be hacked and manipulated, has shocked many. 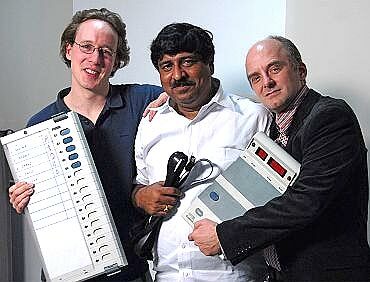 Prasad was arrested after he refused to reveal the source who helped him procure the EVM. 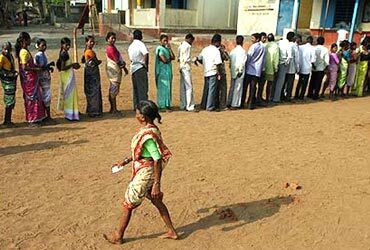 G V L Narisimha Rao, president of the Citizens for Verifiability, Transparency and Accountability in Elections and author of the book, Democracy at Risk: Can We Trust Electronic Voting Machines, believes that the arrest has opened up a Pandora's Box. Rao tells rediff.com's Vicky Nanjappa, that the arrest has strengthened the resolve of like-minded activists and exposed the Election Commission's vulnerability. Your immediate concern must be about Hari K Prasad and his release. What are you doing about it? The battle is now a legal one. We have put forth the best legal team to fight the matter and are exploring all other options to secure his release. 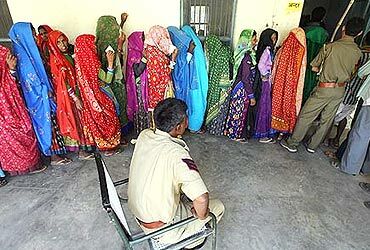 This is nothing but EC-sponsored police raj. Has this arrest acted as a deterrent for any of you? No, it has not. In fact, it has prompted us to prove that the machine can be tampered with. They have lied to the people and this is what made us challenge them in the first place. We have not started this fight only to prove that EVMs can be tampered with. Our fight is to ensure transparency in the democratic process. You speak of paper documents when the world is trying to go paperless. Paper documents are needed. This is an election and there has to be a fair process. We are not against technology. It is a machine after all and it can be tampered with. Paper records are being used in other parts of the world to ensure that the election process is fair and transparent. Why can't the same be done in India? Why do you think the EC has reacted so sharply? You want to ensure transparency, then why should the EC have a problem? The EC wants to prove to the world that this machine is the best thing on earth. Some courts have termed it a jewel of India. Why is the EC making this a prestige issue? It is not a machine that has been developed by them. The makers of the machine, (government-owned) Bharat Electronic Limited, have said that it is reliably fool proof. Why is the EC endorsing them? Have you tried to meet someone from the EC and debate the matter? (We have tried that) several times. We have been denied any opportunity to make our point. If they are so sure, then let them debate the issue with us on a public platform. Let the media be present. The fact is that the EC never wanted a dialogue with us. Their claim that the machine is fool proof is bogus and that is why at every step they have blocked us to defend themselves. Some allege that the EVMs were rigged during the previous elections. But in that case, why didn't the Congress rig it to attain a majority in Parliament? Nobody is alleging that the elections were rigged. We are just saying that the machines can be tampered with. It may have been rigged in one or two places, but no one knows for sure and we don't want to make any such allegations. Since it is a machine and can be tampered with, the system needs an overhaul. Remember, an election can never be fought on trust; it is always fought on proof. Let us face the fact that the EC knows nothing about the EVMs. There are so many loopholes in the machine. When matters are such, every losing candidate will have a doubt about the result. As a losing candidate, how do I verify the result? The machine does not give any proof or allow me to detect a fraud. Are you making a political point? We are not interested in making any political point. As I said, our claim is not that the elections are rigged. We are saying that in the future, let there be transparency. My point is, why should the technology not evolve? Let us identify the flaws and rectify it. The EC must realise that the EVM is a primitive device and should stop lying to the country that it is state-of-the-art. Do you think the EC has taken this up as a prestige issue? The EC is unable to accept that someone has finally proved them wrong. They have invested too much of their faith in this machine. 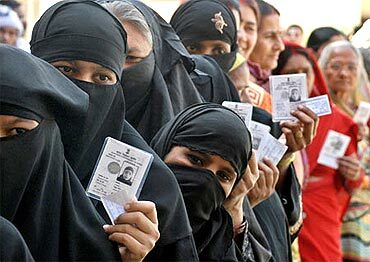 The EC has done a commendable job in other areas; let them take credit for that. Why are they clinging on to this? It is funny, but they appear to be acting like the vendors of the machine. The Hari Prasad case has only shown their intolerance to science. Do you approve of stealing an EVM to make a point? We have proved how vulnerable the system is. The EC had claimed in the past that 80 machines had gone missing. Had they initiated an inquiry or harassed those people? They are harassing us. All they are interested in knowing is who has provided us with the machine. They claim to have their security checks in place. If that is so, then why was it so easy to get a machine out? It has happened in Mumbai, a metropolitan city. Can you imagine what must be the case in smaller areas? They keep asking us for the name of the person who handed over the machine to us. Don't they know who is in charge of the godown? Let us face it, all EVMs are insecure and the EC does not want to accept it. So what is the next course of action? The action by the EC has increased our resolve to fight. All we were trying to do is to enter into a dialogue with them and make the election process fair. But they chose to go ahead and arm-twist us. This is just not done.